Staghorn ferns (Platycerium sp.) 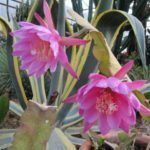 are unique, dramatic plants that are sold in many nurseries as houseplants. They are commonly known as staghorn, moose horn, elk horn or antelope ear ferns because of their large reproductive fronds that look like antlers. 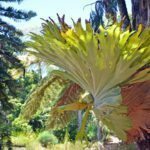 Native to tropical forests of Southeast Asia, Indonesia, Australia, Madagascar, Africa and South America, there are approximately 18 species of staghorn fern. Generally, only a few varieties are available in nurseries or greenhouses because of their very specific temperature and care requirements. Continue reading to learn about the cold hardiness of a staghorn fern, as well as care tips. In the wild, staghorn ferns are epiphytes, which grow on tree trunks, branches or rocks in very warm, humid tropical forests. In warm enough climates, like southern Florida, staghorn fern spores, which are carried upon wind, have been known to naturalize, creating huge plants in the crotches of native trees like live oak. Although, large trees or rocky outcrops host staghorn fern plants, the staghorn ferns do not cause any damage or harm to their hosts. Instead, they acquire all the water and nutrients that they need from the air and fallen plant debris through their basal fronds, which cover and protect their roots. 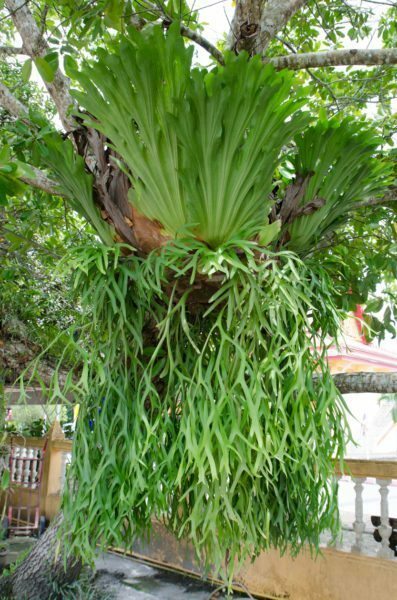 As home or garden plants, staghorn fern plants need growing conditions which mimic their native growth habits. First and foremost, they require a warm, humid location to grow, preferably hanging. Staghorn ferns and cold weather do not work, though a few varieties can tolerate very short periods of temperatures down to 30 F. (-1 C.). Staghorn ferns also need a partly shaded or shaded location. 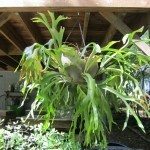 Shady areas of the garden can sometimes be cooler than the rest of the garden, so keep this in mind when placing a staghorn fern. 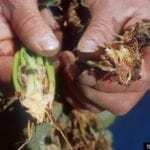 Staghorn ferns that are mounted on boards or grown in wire baskets will also need supplemental nutrients from regular fertilizing since they usually aren’t able to attain the required nutrients from debris of a host tree. Certain varieties of staghorn ferns are more commonly grown and sold in nurseries or greenhouses because of their cold hardiness and minimal care requirements. In general, staghorn ferns are hardy in zone 8 or above and considered to be cold tender or semi-tender plants and should not be exposed to temperatures below 50 F. (10 C.) for long periods. Some varieties of staghorn ferns can tolerate temperatures colder than this, while other varieties can’t handle temps that low. 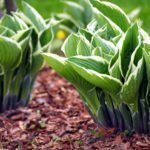 You will need a variety that can survive outdoor temperatures in your area, or be prepared to cover or move plants indoors during cold periods. Below are several commonly grown varieties of staghorn ferns and cold tolerance of each. Please keep in mind that while they can tolerate short periods of these low temperatures, they will not survive long periods exposed to cold. The best locations for staghorn ferns have daytime temperatures around 80 F. (27 C.) or more and night temperatures of 60 F. (16 C.) or more.